Tomorrow I'm heading to Israel to join a group of Canadian physicians receiving disaster relief training from the Israeli ambulance service Magen David Adom (MDA). Organized by the Canadian Friends of Magen David Adom, the course will see us trained in basic life support, advanced cardiac life support, advanced trauma life support, some mass casualty training, and will also include a live MDA mobile intensive care unit shift. Once trained our cadre will become part of the Magen David Adom family and be available to help with emergency relief efforts not only in Israel, but around the globe. Given what's been going on in Israel of late, I can't say I'm not at all anxious. I'm not so much worried about my own safety, or the injuries I might see, as I am about those injuriues' possible nature. Though I've certainly seen my share of tragedy in emergency rooms, I've never been a witness to terror, and there's a real chance that will change on this trip. 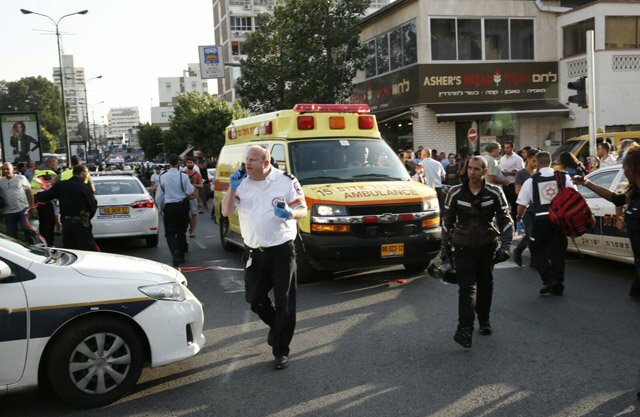 Since September 14th Israel has faced nearly daily terrorist attacks which have included 58 stabbings, 5 shootings, and 6 car rammings resulting in over 150 casualties and 11 deaths. Among those stabbed are women, children, and senior citizens, including a toddler, a 13 year old riding his bicycle, and, 3 days ago, an 80 year old grandmother out for a walk in central Israel (the after scene in the above photo). For more on the MDA's relief efforts, here's a fascinating and detailed Reddit AMA with Tal Rabin, an Israeli paramedic who joined the MDA's mission to Nepal after last year's disaster. While I might find time to periodically update this blog while gone, the updates will likely involve my experiences with MDA. If you're looking for more information on MDA as a whole, or to give a donation, here's a link to the Canadian friends of Magen David Adom, and here is a link to the American friends of Magen David Adom.